Regulations make for dry reading, so you might want to have a cup of coffee before tackling this topic. 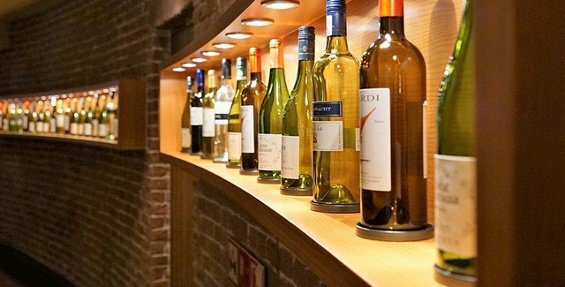 9 primary requirements for wine labels are covered here, with a reading time of about 12 minutes– depending on how many times you nod off in the process. The sample label below is a meant to serve as a simple guide for wine bottled and labeled in the United States, with a brief summary for each indicated section. 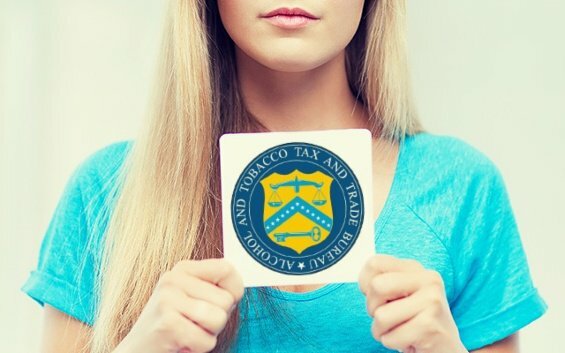 Refer to the TTB website for complete regulations. This is general information intended to assist winemakers with successful Certificate of Label Applications (COLAs, TTB form 5100.3) submitted to TTB. The relevant Code of Federal Regulations (CFR) is noted when applicable, most of which are found in Title 27/Chapter I/Subchapter A/Part 4. The brand name used by the winery or the wine maker itself. Per TTB, in the absence of a brand name, the name of the wine producer may serve as the brand name for the label. (27 CFR 4.33(a)). At least 1 mm for containers 187 ml or less. At least 2 mm for containers larger than 187 ml. Every wine bottle label must contain the name of the bottler, city and state, exactly as indicated on the basic permit. This information must be preceded by either the phrase "Bottled by" or "Packed by". Simply put, this would be the type of wine in the bottle. Use of a varietal designation (Merlot), requires the Appellation of Origin also be included. (27 CFR 4.23(b)). The word 'Wine' is typically required– for example the label may not simply say 'Rose' to meet the Varietal Designation requirement, it must read 'Rose Wine' to serve as the type. (27 CFR 4.21 (a)(1)(iv)). Type Requirements: Varietal references (50% Merlot and 50% Cabernet Sauvignon for example) take precedence as the class/type designation (American Red Wine), whether the wine is a single grape variety or two or more grape varieties as the type designation. Varietals and their percentages (if shown) have to be typeset at least 2 mm print, and be set apart or displayed more conspicuously than any other surrounding text. Mandatory information must be bold or at least twice the size of any surrounding text in order to meet TTB requirements. (27 CFR 4.38(b)). Multiple Varietals: TTB stipulates that when multiple varietals are used in wine blends, the percentage of each grape must be noted on the label with a total that equals 100%. (27 CFR 4.23(d)). Fanciful Names: Fanciful names are entirely optional and do not meet or replace any required information on a brand label. The use of a 'Fanciful Name' such as "Sunset Seeker's Rose" does not meet the TTB requirement for a class or type designation (a Rose Wine, in the example used in this section). (27 CFR 4.34(a)). Non-Standard Wines: Formulated wines, those with added flavors for example, are considered non-standard wines. Formulas must be approved prior to label COLA submission, and TTB will suggest a statement of composition for the label (Rose Wine with natural flavors added, as an example). This formula description will be considered the required class/type designation and must appear on the label for non-standard wines. Note: Vintage date and grape varietals are not permitted on non-standard wine labels. (27 CFR 4.27(a), 4.39(n)). A state, county, or American Viticultural Area (AVA) for geographic wine labels. The grapes used for geographic wine are required to have been grown in the stated area: 85% for AVA and 75% for state or county designations. As an example, labeling a wine "American Merlot" would require 75% of the wine is derived from Merlot grapes grown in the United States. 'American' in this example serves as the Appellation of Origin. (27 CFR 4.25(b)). Appellation of origin text is required when a vintage date is used on the label, and both must appear together– so if the appellation of origin is 'America' and the class/type is 'Red Wine', this text must be on the same label– the front, back, or same label when multiple separate labels are used in your packaging design. (27 CFR 4.34(a)). 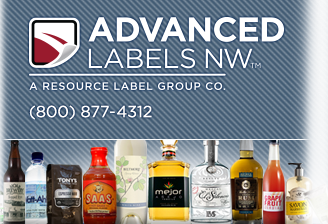 Two-Piece Brand Labels: If your label design uses a two-piece layout with a varietal designation or a vintage date, the appellation of origin and the class/type designation must appear on the same label. (27 CFR 4.33(a)). The alcohol content by volume (ABV) is the percent of the bottled wine that is alcohol. U.S. law permits a 1.5% variance from the ABV printed on the wine label. Note this is not the "proof"– alcohol proof is twice the percent ABV, so 100-proof whiskey would be 50% alcohol. Proof is not used for wine labeling. 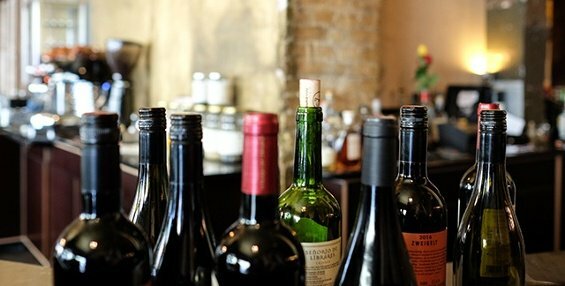 A specific alcohol content by volume statement is required for any wine with an ABV of 14% or greater. (27 CFR 4.36(a)). 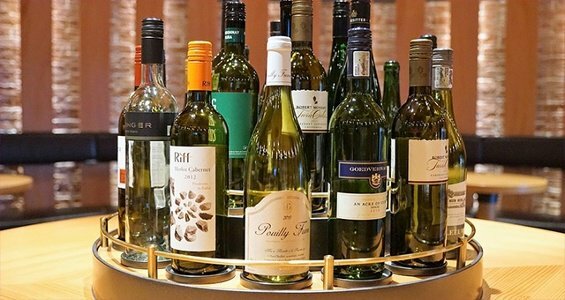 Table Wine: Alcohol content does not need to be displayed if the words "Table Wine" appear on the label and the alcohol content is between 7% and 14% by volume. (27 CFR 4.36(a)). "Table Wine" also serves as the Class/Type designation. (27 CFR 4.21(a)(2)). At least 1 mm but not larger than 3 mm for bottles that are 5 L or less. If a wine label displays a Vintage Date, an Appellation of Origin must also be shown on the label. (27 CFR 4.27(a)). If the contents are more than one liter, net contents are stated in liters and a decimal portion of a liter accurate to the nearest one-hundredth of a liter. If less than a liter, contents must be stated in milliliters (ml). Equivalent volume of less than 100 fluid ounces must be stated in fluid ounces, accurate to the nearest one-tenth of an ounce. Equivalent volumes of 100 fluid ounces or more will be stated in fluid ounces accurate to nearest whole fluid ounce. If contents are stated in metric measure, the equivalent US measure may also be shown, using the following standards: For the metric standards of fill: 3 liters (101 fl. oz. ); 1.5 liters (50.7 fl. oz. ); 1 liter (33.8 fl. oz. ); 750 ml (25.4 fl. oz. ); 500 ml (16.9 fl. oz. ); 375 ml (12.7 fl. oz. ); 187 ml (6.3 fl. oz. ); 100 ml (3.4 fl. oz. ); and 50 ml (1.7 fl. oz.). Net contents may be marked on the bottle itself, through etching, molding, blowing, underglaze, etc. as long as it is clearly visible and not obscured. If the net volume will be branded on the bottle it needs to be indicated in item 19 of the COLA application, or if filing electronically, in the special wording section. 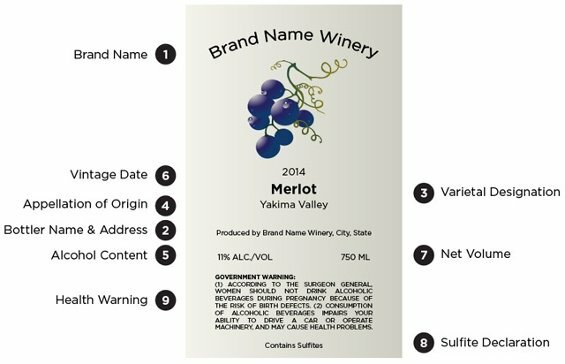 If the total sulfur dioxide or if a sulfating agent is present at 10 ppm or more, a sulfite declaration such as "Contains Sulfites or "Contains (a) Sulfating Agent(s)" must be present on the wine label. (27 CFR 4.32(e)). If laboratory analysis determines sulfite content is below 10 ppm no sulfite declaration is required. Lab analysis can be performed by TTB or a TTB-Certified laboratory, in either case the lab analysis has to be submitted to TTB during COLA application. At least 1 mm for containers that are 237 ml or less. At least 2 mm for containers over 237 ml or up to 3 L.
At least 3 mm for containers that are larger than 3 L.
Even attempting to simplify the regulations for wine labels is complicated. In order to be in full compliance please refer to the TTB website for a full explanation of the rules for your specific winery.